A team which started its days as a collection of enthusiastic cricketers who simply wanted to fulfill their dreams of playing for their proud nation have steadily progressed through the ranks to be recognised as one of the most exciting teams in the world. There was a time when the Afghanistan side would just have been happy to be part of a tournament which contained India, Pakistan and Sri Lanka. However, as was apparent in the recently concluded 2018 edition of the Asia Cup, the Afghanistan side of today looks to punch well above their weight and take on the subcontinental giants. 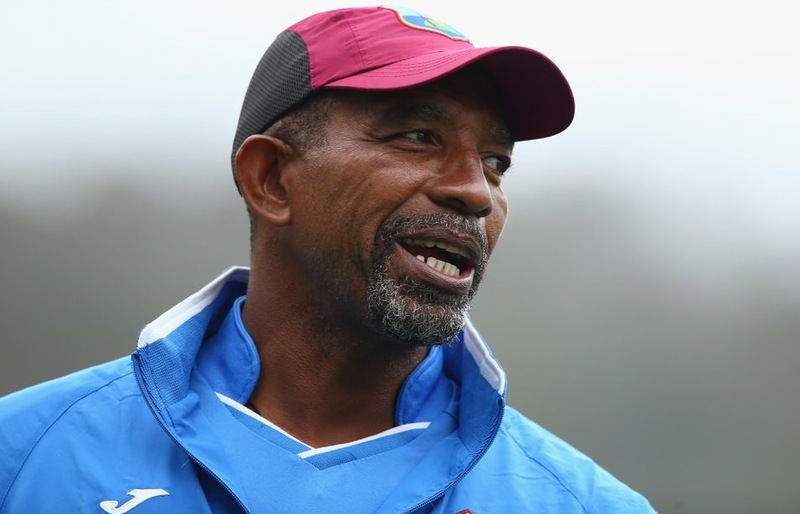 For the former West Indies batsman and current Afghanistan head coach, Phil Simmons, the progress of the Afghans from the status of 'also-rans' to that of 'genuine contenders' has given him a lot of satisfaction. And, it should not really surprise anyone who has seen the talent available in the country. "To be honest, the progress of Afghanistan as a force in cricket is something which has been coming for a while as they keep on improving from where they were back in the days of Division 3 and 4," he said. "To me, it's not a surprise that they are challenging the big teams now and its really now a stage where we are a work in progress to get to the level of India, England and Australia and that is what we need to be aiming for. "In the Asia Cup, it was great to note that we have moved forward and have been able to challenge the top teams in Asian conditions which is good to see from where I stand." While Afghanistan have been known to play exciting cricket and continue to impress all fans of the game, Simmons is clear in his mind that there is still plenty of room for improvement. "There is still lot of work to be done from our end," he said. "We still need to be able to score 300 runs in ODIs as regularly as the big teams do and also be consistent when we bowl against the top teams of the world. "There is always something to improve upon, and in our case, there is a lot of work to be done in all three departments of the game before we can be satisfied with what we have." The ever-growing calendar of Twenty20 league cricket recently had another entry with the advent of the Afghanistan Premier League T20 tournament in the UAE. Given the involvement of some of the world's top T20 players, the entertainment potential of such a tournament is huge but there are also very important objectives of such a tournament for Afghanistan cricket. "The main objectives of holding the APL from my point of view is to be able to see more of the young Afghan players in action and to showcase the talent of the newer players to the whole world. In terms of the quality of cricket, this has been a great success with no real one-sided matches. "I am very happy to see that the Afghan players in this league are showing everyone what they are capable of, something which is not much of a surprise to me as I know what they can do." With players such as Chris Gayle, Shahid Afridi and Ravi Bopara part of the five teams that are playing the APL, Simmons believes the Afghan players have a great opportunity to rub shoulders and learn from some of the top names of world cricket. "The opportunity to learn for the Afghan players in this league is immense," he said. "They are playing alongside some of the top T20 international players from all categories and it's really up to the young Afghans to decide what they take from this experience. I would be very happy if our players can learn something from each one of these top players. "Each side has five or six overseas players and each one would be able to offer something different in terms of their experience which our players could pick up and put to use in their own game. "I am looking forward to listening to the Afghan players and hearing what they have learnt from these international players and how that can be integrated into getting better results for the national team to make them into a better side." The APL is in its infancy and there are doubts about its popularity at the international stage in the face of other competitors such as the IPL, Big Bash and Pakistan Super League. Simmons, however, is clear about what he would consider as success of the APL. "There are four to five excellent young Afghanistan players who I know will serve their country well for a good few years, so the goal is to see them play to their potential," he said. "In addition, I am looking at few others as well, to see how well they do in this tournament and that could be a big positive to come out of this tournament for us. "I have high expectations from my team and whilst overall it's been an exciting tournament with some wonderful performances, I don't think I have seen any extraordinary performances from our players above and beyond what they can do already. I will be looking out for a better effort from them as the tournament proceeds to its final stages. "When the APL does come to an end, what I would be interested in seeing is how each of the players have progressed in terms of skills from match to match and that in the final analysis will be what will make me truly happy." The ICC recently awarded Test status to Ireland and Afghanistan in recognition of the advancements both teams have made. The Afghans made their Test debut in a largely one-sided match against India but as Simmons explained, the defeat to India underscored the need for his side to be playing more Tests in the future. "Our first and only Test match was a memorable one from the point of view of history but disappointing in terms of the result as we lost to India in two days," he said. "My view is that if we are to be given Test status then we need to have more Test matches as that's the only way we will improve as a Test side. It goes without saying that when you play more Test matches, you get to learn what you need to improve upon for the next Test match. "The gap between our last Test which we played in June 2018 and our next Test against Ireland in February-March is a big one and I would have hoped we had more matches in between. "However, that's how it is, we just need to get on with it, and get ready for the next match to see what we can learn from that game." With their string of brilliant performances, the latest of which came in the Asia Cup, the Afghanistan side has more than confirmed its reputation as a highly-competitive and hard-to-beat limited-overs side. Whilst Simmons is overjoyed with the performances of Afghanistan in ODIs and T20Is, the perfectionist in him has his eyes focused on ensuring that his side are not just considered a good shorter-format side, but are also able to make their mark in the longer format. "I don't really worry about us being labelled as a limited-overs side who would not be able to adjust to the demands of Test cricket," he said. "Each format of cricket needs to be learnt and even the top Test sides took 40-50 matches before they won their first Test. "We will need to look at each Test match that we are asked to play and then see how we can improve before the next one. There is no point worrying about winning Test matches against top sides like India at the moment. "Instead, what we need to be aiming for is to learn from the experience and whilst I am pleased with our limited-overs performances, improving in Test cricket is an important objective for the future of Afghanistan cricket."